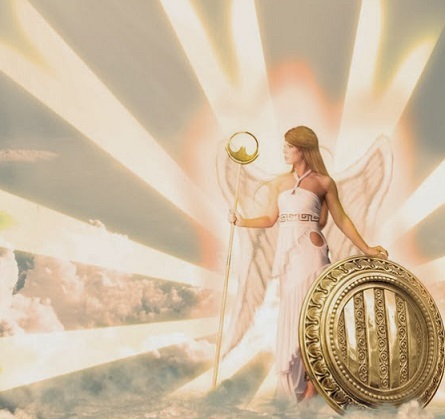 Aegle is the Greek goddess of radiant good health. She is the daughter of Asclepius and Epione. She is often seen as the attendant of her father. She has several healing-related goddess sisters including Aceso, Hygeia, Panaceia, and Iaso.